Yet Another Busy Week in Year 2! In Maths this week we have been tackling a range of different style questions, both arithmetic and reasoning. We have also had a big focus on using jottings and checking our answers in different ways. In English we have started our new book ‘Charlotte’s Web’. The children have really engaged with the story so far and have been able to provide strong, balanced arguments for different scenarios along with showing empathy for Wilbur and Fern. Ask your children which characters we have met so far and what they think of them. A team of ten year 2 children had a very exciting event on Wednesday morning. They represented our school at the Infant Agility Festival! This is a competitive event where the children took part in a variety of multi-skills activities and are scored. The scores were combined with the afternoon festival and we finished 6th place out of 14 schools. A huge well done to the children involved, you did our school proud! News About the Sing-Up Award! At Joydens Wood Infant School we love to sing! Staff and children have been working hard to collect evidence of how much singing we incorporate into our school life, from curriculum songs, to routine songs and preparing songs for assemblies and productions. We are collecting this evidence as we have pledged for a Sing Up Gold Award and we are nearly there! So please keep encouraging your children to enjoy their singing and we hope to have good news on achieving our Gold award very soon! As temperatures soar this week to kick off the Summer Term, we have an absolutely jam-packed term of competitions and challenges to encourage our children to read on a Wednesday night. The Crayons are Quitting in Year 1! This week Year One have thoroughly enjoyed the Art and Music week. They have been expressing their feelings to different pieces of music through different art media and had a visit from an artist who taught them different skills in layering media in order to create different effects. We are looking forward to displaying our work in an exhibition for parents to see on Friday afternoon. Welcome back! We hope you all had a wonderful Easter break, it’s lovely to be back with the sun shining and the children excited for the Summer term ahead. This has been a wonderful first week back after Easter. We have heard all about the exciting activities that you and your children have been up to. The weather has certainly been a rather spectacular surprise and we have also had a visit from a very special tortoise that enjoyed spending the day with the Reception classes! Going Wild in Year 1! This week the children have been looking at the illustrations inside Emily Hughes book ‘Wild’. The children have generated ideas and question about the strange character and considered her story. The children had the opportunity to use a wide range of media to recreate two illustrations that show the character feeling different emotions. Well what a fun-filled term this has been! We’ve packed so much into such a short space of time, especially with the snow week thanks to the Beast from the East. What a fantastic memory for all of the children to have experienced. We don’t know where the time has gone and we can’t believe it’s almost the summer term. 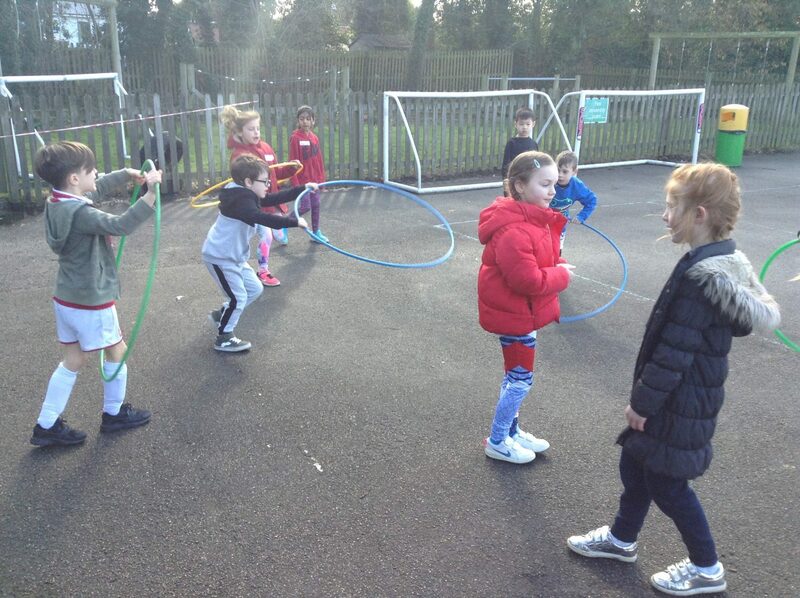 On Friday 16th March the children took part in a series of skipping challenges to raise money for Sport Relief. These included a team skip challenge, backwards skip, hoop skip and a skip relay. The children showed great sportsmanship, cheering on their team and supporting each other. Not only did we have lots of fun, the money raised will go to Sport Relief and help disadvantaged people across the UK. Thank you to all of you for your kind donations! Even More Science in Year 2!! Yet another busy week in Year 2! In English the children have created their own stories after being inspired by the book ‘Orion and the Dark’. They created some excellent story maps with a wide range of vocabulary and used these as their plans for writing.